Easy to apply and detergent-proof. 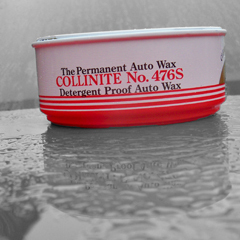 Collinite Super DoubleCoat is made to outlast and outshine other competitive auto waxes, polishes or protective coatings. No hard rubbing or buffing and no special applicator required. Will last a full year, even under adverse conditions. Available in 9 oz. cans.